Winter heralds the tradition of outdoor picnics –a lazy relaxed morning, under the shade of trees, with family and friends creating happy memories. 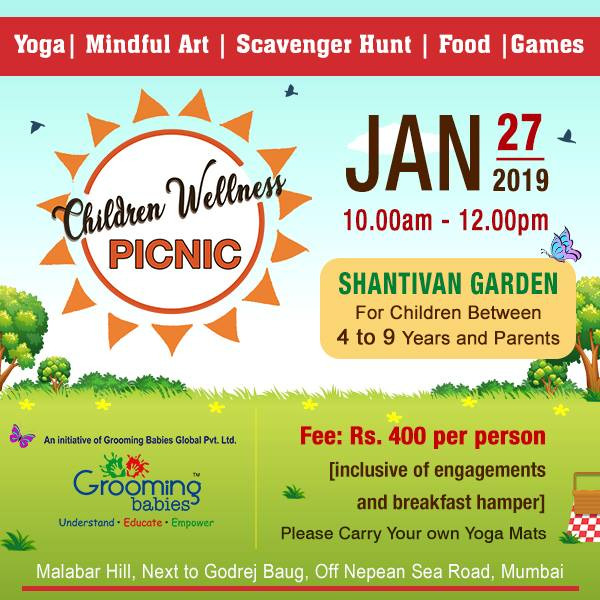 Join us with your young ones for a Sunday morning picnic at the Shantivan Garden, Malabar Hills on January 27 at 10 am. The theme is Wellness. We do parent-child yoga, create art, play family games and engage in nature scavenger hunt. Of course! We also eat, talk and laugh. We also organise children birthday or family wellness picnic.